All you have to do is let us know in the comments below what film you are most looking forward to this summer. (30) random comments will be selected and they will receive a pass for (2) to attend the screening. The contest ends at 8:00 pm Monday, March 25th. Winners will be notified by email. Good luck! I can’t wait to see Avengers Endgame. I am looking forward to seeing Dark Phoenix this summer. 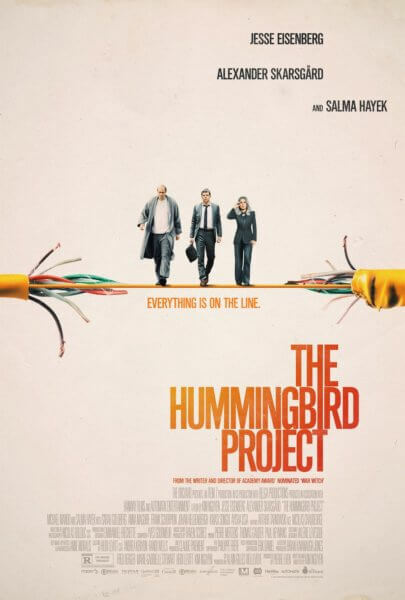 I’m looking forward to the Avengers Endgame, but the Hummingbird Project looks really good too! I’m looking forward to Godzilla: King of the Monsters. Well of course The Hummingbird Project! Would love to see the movie!! I really want to see this movie! I’m not sure what is coming out this summer but the cast in this movie has me interested! I would love to see The Hummingbird Project. The cast looks awesome. John Wick 3 for sure. I can only hope the fighting scenes are as good as 2. Please send me passes to this, I would really like to see the hummingbird project.